A 13-year-old girl, who fell pregnant as a result of sexual abuse, gave birth last month only for the child to die 20 days later under mysterious circumstances. The girl, who was sexually abused in Gwanda, visited Bulawayo to give birth early last month and was staying with a relative in Entumbane suburb. The sexual abuse was reported to the police in Simbumbumbu area in Gwanda. The juvenile told the police that she left her child asleep for an hour, only to find her dead on Sunday. During investigations, it was discovered that the baby produced a greenish stuff from her mouth at her time of death. 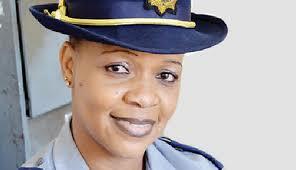 Bulawayo Metropolitan police spokesperson Chief Inspector Precious Simango confirmed the incident. “We are investigating a case of sudden death which occurred in Entumbane suburb on Sunday. A female juvenile breast fed her 20 day old baby and allegedly left her asleep. After about an hour she went back to check her child and she discovered that her baby was not breathing. “The case was reported to the police who attended the scene and it was discovered that the baby had passed away producing a greenish substance from the mouth,” she said. The baby was ferried to United Bulawayo Hospitals for post mortem. Musasa Project executive director, Ms Netty Musanhu said it was tragic that a 13-year-old had to go through such an ordeal. “It’s because society failed to protect her as a child and it’s a shame on all of us as adults, a society and institutions that are supposed to protect women when we find a lot of girls behind bars as suspects for murder and infanticide,” she said.